We collect personal data electronically and the personal data being processed is your email address that you voluntarily provide to us by signing our services or visiting our websites, owned and operated by (short company name) and its subsidiaries, mediaplanet.com. Mediaplanet (insert short company name) use Google Analytics to analyze the users’ use of our website. Google Analytics is used on this website. Google Analytics provides MPI with aggregated data in order to help us make informed business decisions. 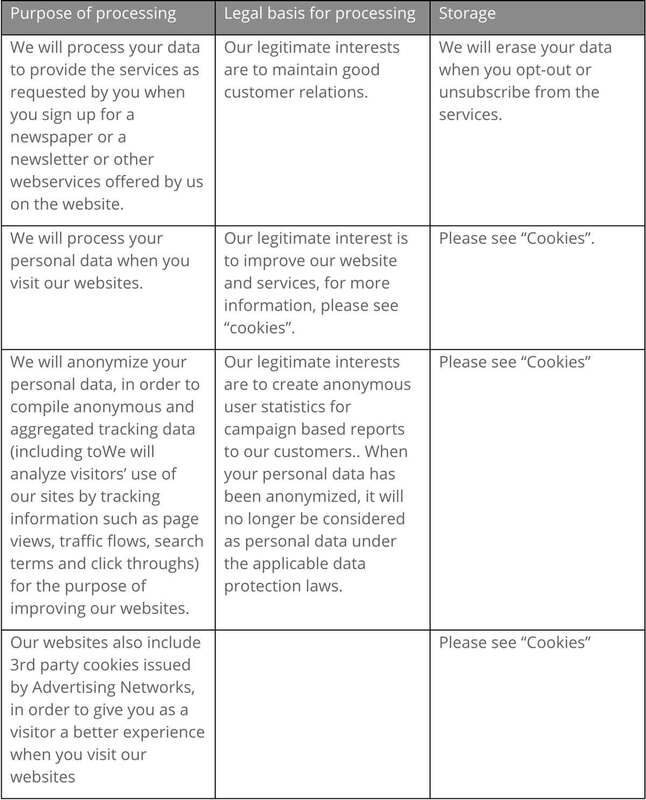 Ultimately, Google, as a third party, controls information collected through Google Analytics and you could check Google’s privacy practices prior using our website. You may review information about Google’s privacy practices with respect to Google Analytics here.